Engine regularly serviced by the owner. Engine hours are those over the last 10 years. This Hunter has clearly been looked after, with a comprehensive annual winterising regime for the last 10 years, with only 2 owners from new. She is surprisingly spacious and benefits from single line reefing to the cockpit. 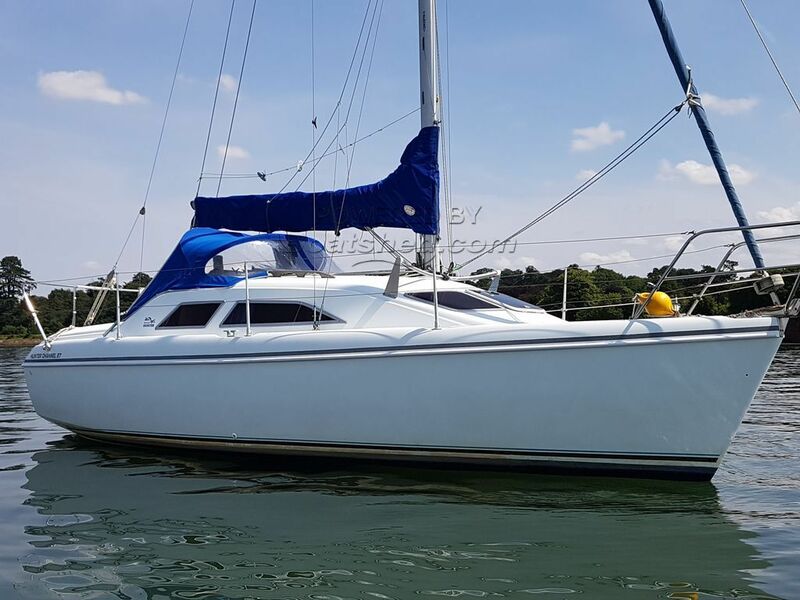 The British Hunter Channel 27 is a solid, stable, offshore cruising yacht, safe and responsive with good speed, she is ideal for both family cruising or short handed sailing. Achieving category B status. She has all the British Hunter attributes of high standard of build, ease of handling, and a good sailing performance. Below decks, where full standing headroom is achieved, she boasts a large saloon and a galley for all your cooking needs. She has an extremely well appointed heads compartment with a large hanging wet locker, and has stowage in abundance. Her cavernous aft master cabin has a full-length berth for two, and she will comfortably sleep a further four people in the saloon and forward berths. This Hunter Channel 27 has been personally photographed and viewed by Phil Key of Boatshed Torquay. Click here for contact details.